Comment: Coming up on my 10 year home warranty for foundation repairs. Would like an assessment if any repairs would be necessary prior to the warranty expiring at the end of this year. Comment: I have an L-shaped rambler. Covering the deck off the inside of the L shape is a aluminum/glass cover that is attached to the 2 foot rafter overhang in 3 places through the shingles. I am getting a leak off the rafter tails behind the gutter is a few spots. I would like an assessment of where the leaks are emanating and a possible repair. Comment: Looking for a free roof inspection to see if any damage from the ice storm?. Comment: needs to have the roof inspected. Comment: Iâm looking for s contractor a free repair estimate. Kent Home Inspectors are rated 4.84 out of 5 based on 552 reviews of 40 pros. 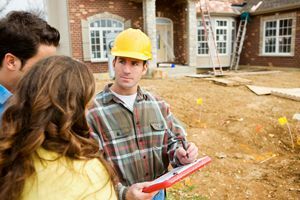 Not Looking for Home Inspection Contractors in Kent, WA?